high quality workmanship and friendly personal service. We take pride in going beyond simply making bespoke suits — we create garments that inspire confidence and success. 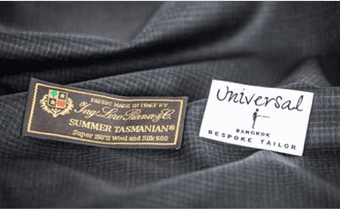 Since 1985, Universal Tailors have successfully established itself as leading and best bespoke Bangkok Tailor. We abide by the highest standards of traditional hand bespoke tailoring by offering authentic fabric, high-quality workmanship and friendly personal service. If there’s one thing that every man has in common, it’s their love for getting dressed up in a smart, powerful and well-tailored suit and feeling like a million dollars. It was this universal ‘truth’ which inspired the birth of this long established family business. At Universal Tailor we are dedicated to providing men of all ages, ethnicities and beliefs with the finest tailored suits. We do so by adopting an unrivalled level of passion, fused with creative precision. We also take great pride in being entirely honest, genuine and up front about the materials that we use, where they are sourced and the processes in which our garments are made. 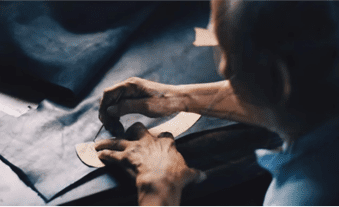 It’s no secret that the great city of Bangkok is teeming with tailors, however what tends to be kept quiet in most shops is where the fabrics and materials come from. Again, with Universal Tailors we don’t hide anything from the customer. We believe that a tailored suit is the ultimate form of expression for a man, allowing them to demonstrate their individuality with confidence. This is why it is paramount that all of our customers know everything about their suit from origin to quality, right down to the very last stitch. With over 33 years in the industry, Universal Tailor have developed a keen eye for detail. This has helped to build a sterling reputation for delivering such prestige quality suits and shirts. As such, father and son duo, Ronnie and Raj go above and beyond to maintain that reputation and to deliver on that promise to every single customer that comes through their door. One of the ways in which they maintain that reputation is by hiring the very best talent in tailoring, attracting such skilled labour by paying up to 30% higher than the industry standard and handpicking each and every individual. This level of quality control ensures that all our employees share the same values as we do, so that every garment produced by Universal Tailor will exceed the customers’ expectations. One thing that you’ll notice about Universal Tailor is that when you step through the door you won’t be hounded by salesmen, instead receiving a warm welcome from the family. We are here to provide a service of high-quality tailoring, style and fashion advice as opposed to scrabbling to get ‘numbers on the board’. We offer a thorough and highly professional service to ensure the best quality of outcome. The typical process involves an initial consultation where you’ll voice your ideas to us and we’ll offer various options and ideas based on our professional opinion. Once you’re satisfied with your choice of style and fabric we’ll get to measuring. Following that you’ll typically need to pop in for an additional 2 or 3 fittings – this might appear to be a bit much at first, though once the finished product arrives, and it fits your form like a magnificent second skin, you’ll understand why we insist on being so thorough. 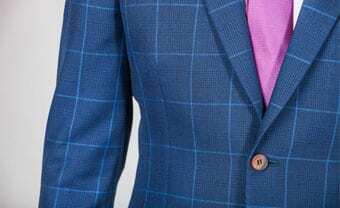 Understand that quality tailoring takes time. It’s not so dissimilar to following a secret recipe to create the perfect dish, only the ingredients are forever changing. But that’s what we do, we adapt, we adjust, and we approach every request with an open mind and a wealth of industry experience. 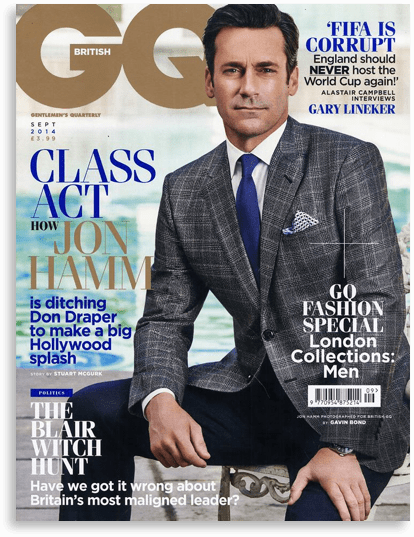 We have gathered many plaudits and accolades which is why their suits are worn by some of the world’s most stylish men in business, media and the arts. Style and the confidence to wear it are sewn into every UT suit. Select from vast variety of fabrics, customize it and your custom garments would be shipped to your doorstep in weeks. Our expert team regularly travels to your city to fit you. We craft bespoke suits for discerning men who want contemporary style as well the highest craftsmanship in their tailoring. We cut slim & sleek custom tailored suits for a modern look that’s both striking and refined. Each of our shirts is expertly sewn by a single tailor to your exact measurements, ensuring an exceptional fit and comfort. 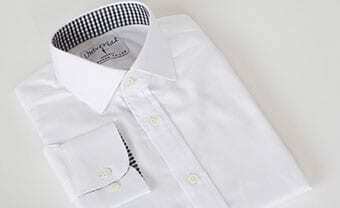 Hand made from the finest cottons, each of our bespoke shirts is the ultimate in premium quality. 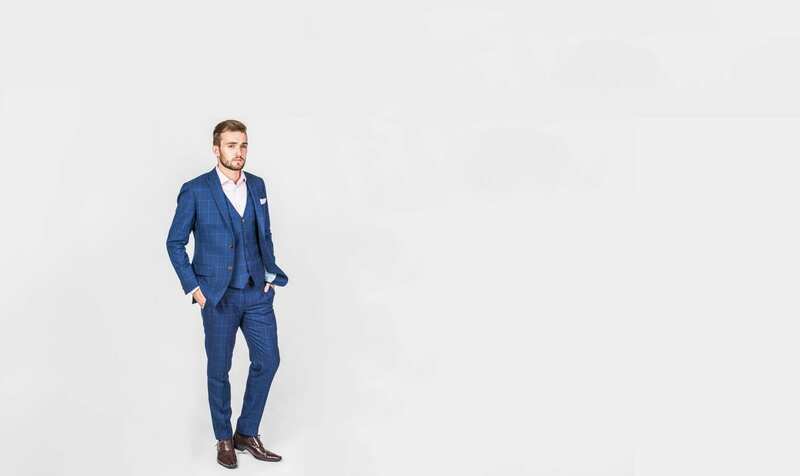 Our tailored suit are hand cut and crafted into a one of a kind bespoke creation to match your specifications using the highest quality canvasses, haircloth, cotton, thread and linings. We fancy a slightly shorter jacket, minimal padding for the natural and flattering silhouette. We emphasize on high armholes and suppressed waist for the lean and contemporary look. Avoid the famous TUK TUK scam and hotel concierge suggestions, they get 40% commission luring and persuading you to visit other tailors. 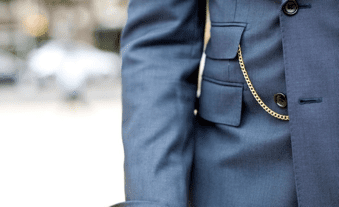 Read to learn more on the tricks used by inferior tailors. Your to-go men’s fashion blog. Some sartorial advice on styles and the latest industry trends. 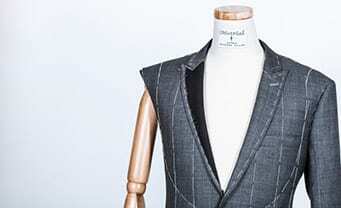 And key insights into cutting, tailoring and craft that goes into commission of a bespoke garment.